DeLena Ciamacco: The Real Estate Expert: NEW LISTING IN ROSEVILLE! TURN OF THE CENTURY FARMHOUSE! Spacious home with gorgeous country views and farmhouse charm! It features a large Kitchen, Living and Dining Room. 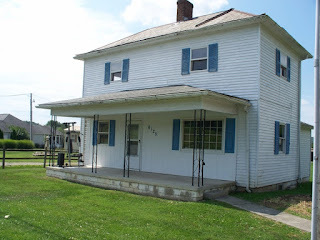 This home is located in east Fultonham and is close to SR-345 and US-22. It is also near Lake Isabel and Lake Isabella Club. 3 BRs & 1 Full Bath. Nearly 1,300 SF! Maysville schools. Only $51,000! Call DeLena today! OPEN HOUSE IN THE VILLAGE AT ALUM CREEK! OPEN HOUSE IN THE SANCTUARY! NEW LISTING IN HUNTINGTON HILLS!